New Conference, new stadium, new uniforms. 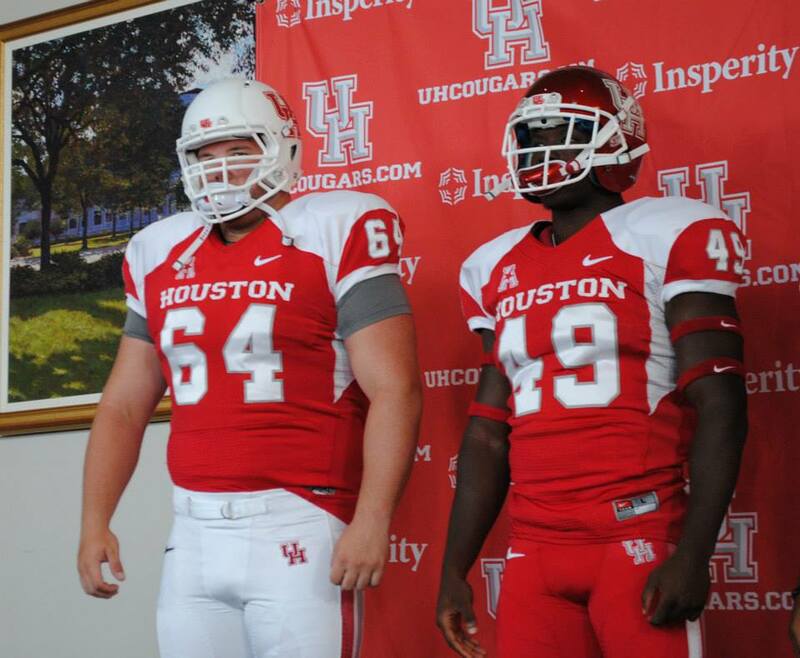 There's a lot changing at U of H, let's review the Cougs new look. Not a bad look altogether. Dear God based on what we've seen lately it could have been worse. Shoulder don't look bad, though the armpit drip deducts points. Again not bad, could have been worse. You could grill a steak on #35's facemask. 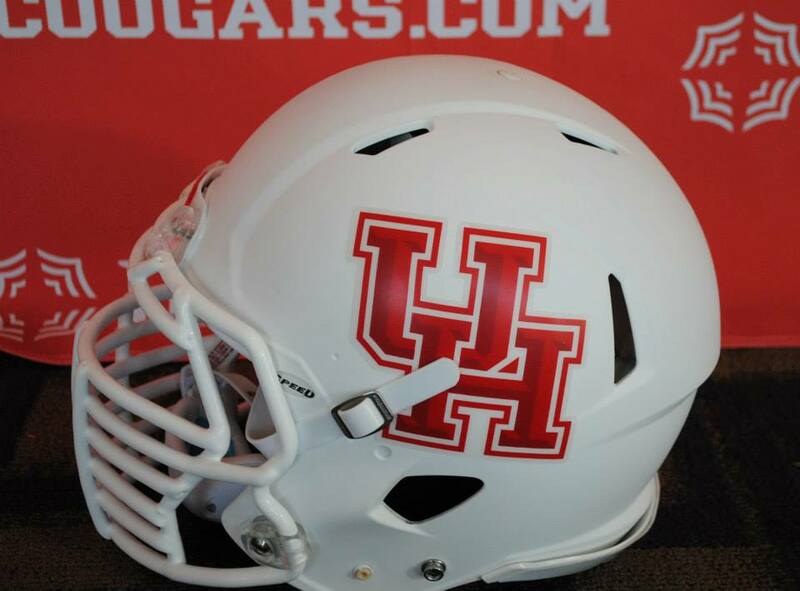 U of H has not sent out the press release naming gray a school color but at least it's not black. By the way, U of H used to have blue as a school color. Someone went and killed it. Would it be so hard to put a pant stripe all the way down the leg? At least it's not metallic. Not in love with the bevel. Made me think they everyone is a assistant captain. That's an NHL reference kids. would have been awesome, throwback, unique font, school colors, great striping. All in all I'm going to say UPGRADE! Last year's uniforms, and those for the past several years have been a dull Nike template. These have some character at least. 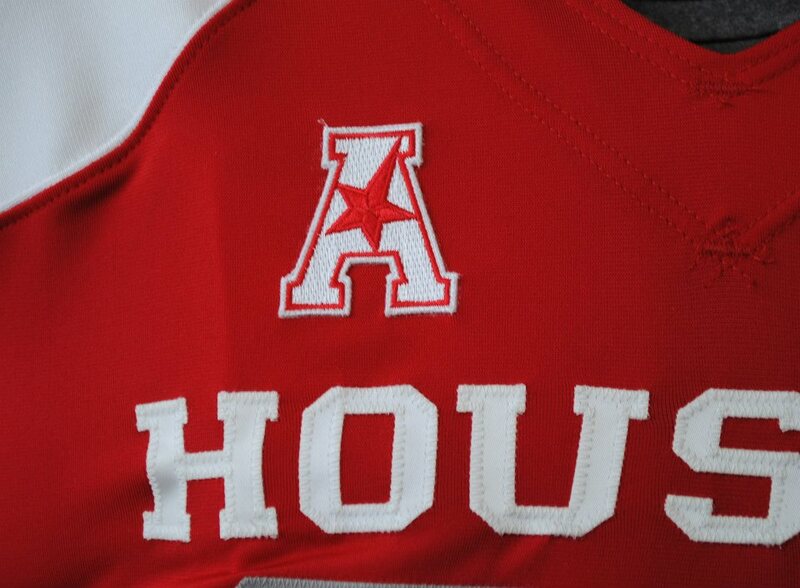 Downgrading the gray, upgrading the shoulder stripes and numbers. A solid B. The meaty part of the curve Cougs. Enjoys yourselves, you're average! 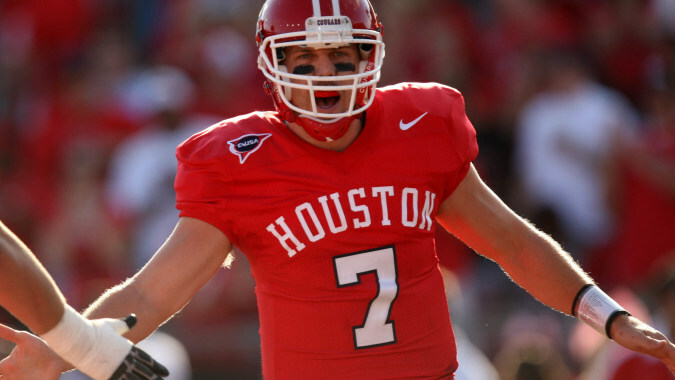 Posted on July 24, 2013 by Sure Bud and filed under Sports and tagged Gear Head Houston Cougars Uniforms American Athletic Conference.